A little late to the party again, seems like I am always playing catch up! 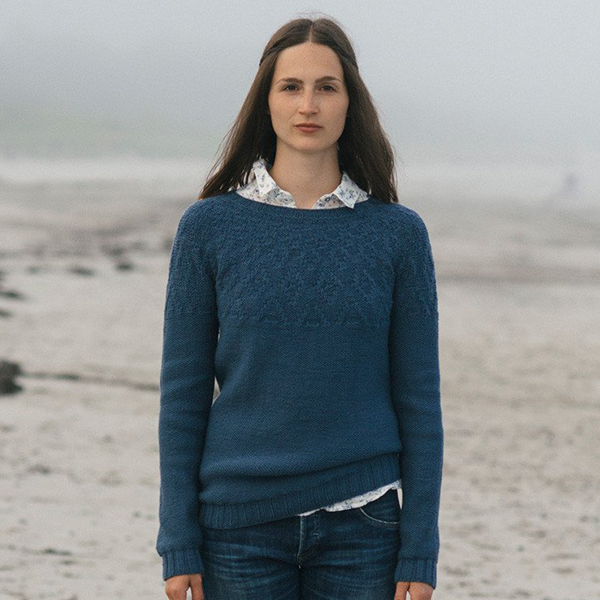 However, Quince and Co just released a beautiful pattern collection, Sea Smoke, and I want to add all of the patterns to my ever increasing queue. They are each a lovely mix of modern and traditional that would make a wonderful addition to anyone’s wardrobe. The Finna is absolutely gorgeous. I am not much of wrap person, but I love the mix of stockinette and garter stitching. The pattern looks like it has enough change ups to keep you on your toes and engaged, while simple enough to be a relaxing evening time project. I can just picture myself sitting on a stormy beach in Oregon cozied up in this finished wrap. 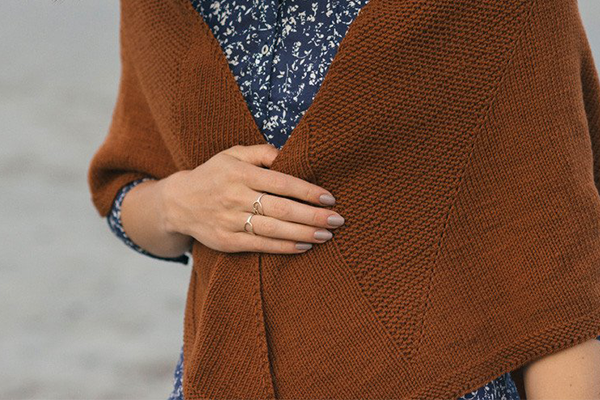 The sweater patterns included in this collection have me itching, once again, for the confidence to start a sweater. I find the Brooke very intriguing. The revising of the stockinet stick, so that the purl side is exposed is a novel idea. I have always liked the way the purl stitch looks and the idea of creating an entire purl stitch sweater is very appealing. What keeps drawing me back to the Brooke, is the yoke. The textured pattern looks deceptively simple and is a challenge I would love to take on. 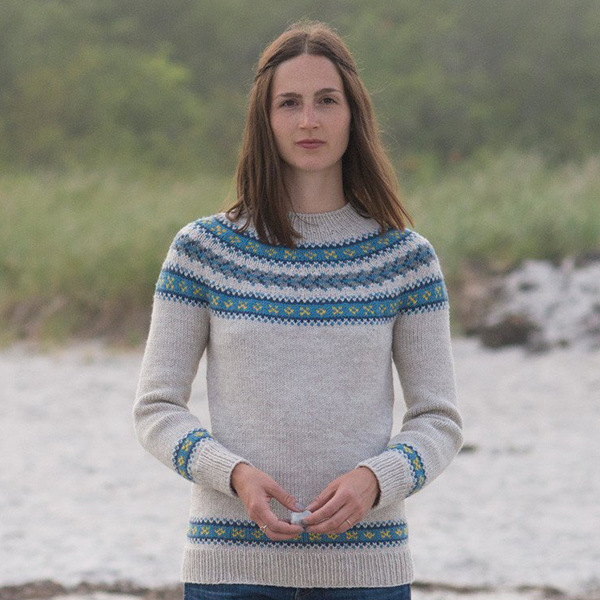 The other sweater pattern in this collection, Dalis is a beautiful, almost minimalist fair Isle pattern. I have yet to even attempt colorworking, but this pattern was quickly added to my favorites as a definitely someday project.